Some people may think the dogs attack because they want to, on their own initiative. But in reality a well-educated dog does that when its owner commands, or when it interprets the situation as dangerous for his owner. It is of foremost importance to teach the dog to control its instincts, and to do what is required. 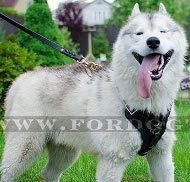 Yet, to succeed in military work, police work, schutzhund and personal protection, the dog needs agitation and bite training. 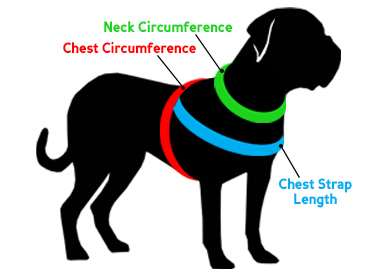 What kind of dog gear should the dog wear during such training sessions? It should be strong and wear-and-tear resistant, made of leather, with padded breast plate, acting as a shock absorber and eliminating the risk of injury. 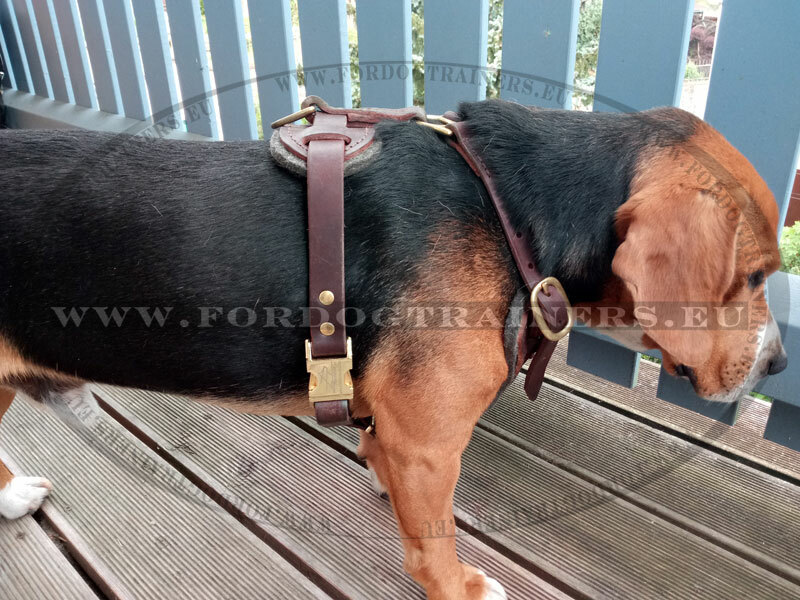 Strong dogs harnessed can rush to the end of the leash, so agitation harness should have a solid reliable furniture, that will not fail. 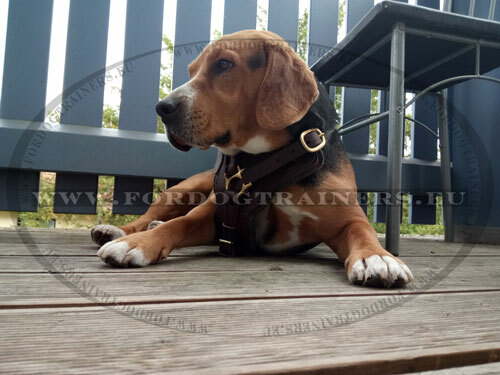 Our Designer Leather Harness for Agitation and Protection Training meets all requirements for Agitation Harnesses. 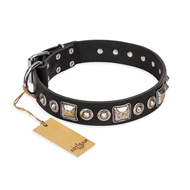 It is made of full-grain genuine leather, its Y-shape chest plate is padded with thick felt. 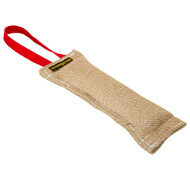 The straps are wide enough not to cut into the dog's skin and not to hurt it. To make the harness snug you may use four ways of adjustment, a quick release buckle will help you to put it on and take it off easily as never before! 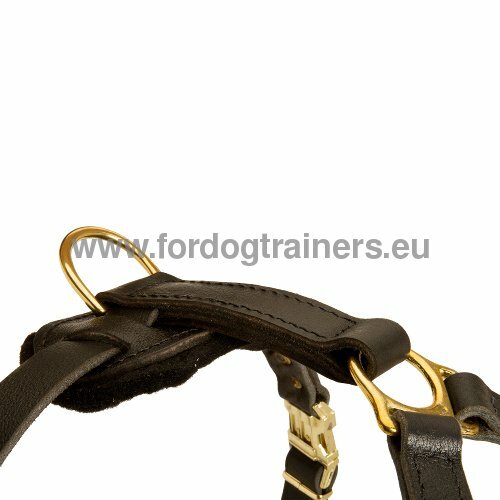 To make this dog product as durable as possible we have stitched it and riveted all the metal parts of it. 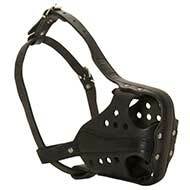 Use this hard-core dog gear for hard-core training! I received my order yesterday and was simply amazed by the quality of the leash, collar and harness! 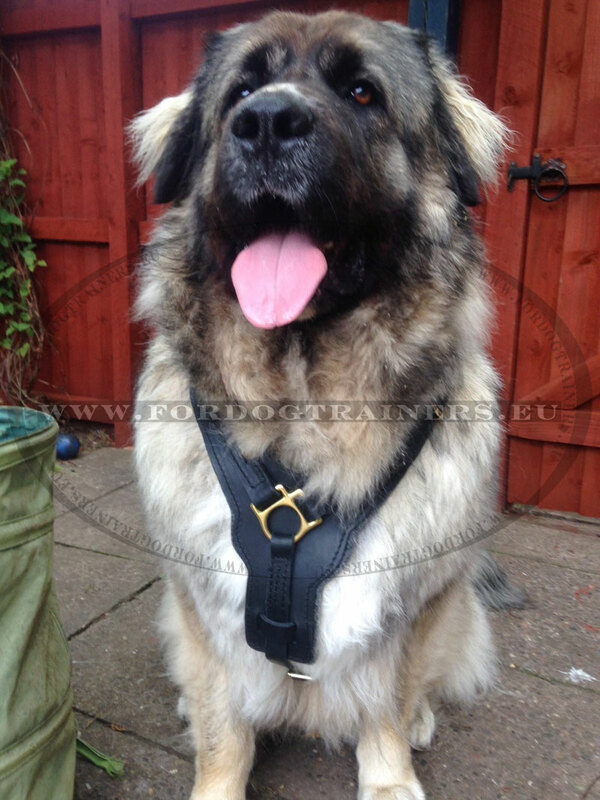 The harness fits perfectly as if it was made specially for Bede! 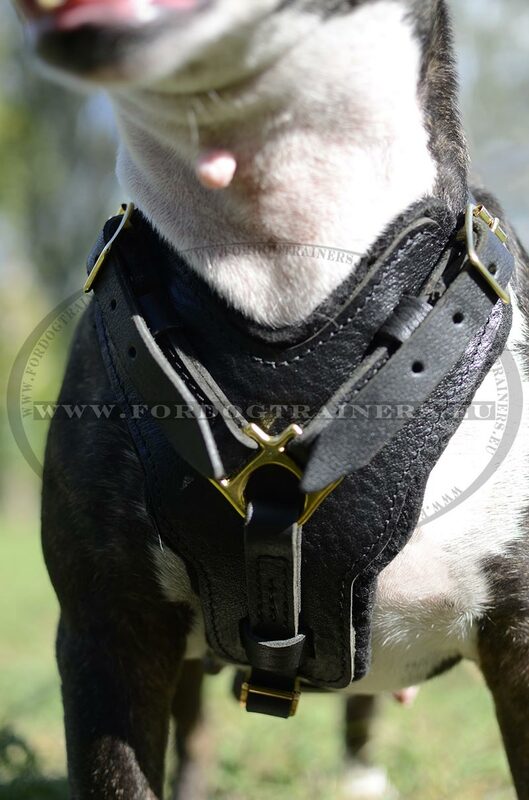 I have never before found a harness, which would suit him so well, and I'm so excited! I wanted to write it all down in a review, but I was limited by 80 characters. My postman, when he said that I received a parcel from Israel, could not wait to see it on my dog! Thank you for a wonderful communication, you've made my whole day! 2. Hello! Finally, it arrived! Many thanks! Merry Christmas! 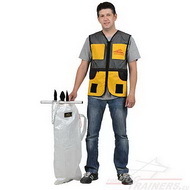 I received the protection/agitation harness. I am very impressed. I'll send you the photo of my dog Arrace in the harness. 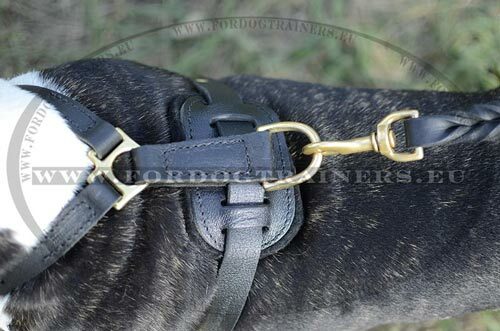 Nevertheless, I've an idea to make a quick-release buckle at the opposite side for the dog not to put it on through the legs. Hope it is a nice idea. I'm sending you a picture of our rottweiler girl in a new harness. 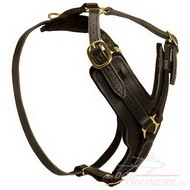 The harness is great, excellent quality. However I've got one advise for improvement: the harness should also be stitched under the chest, with the help of gaps. 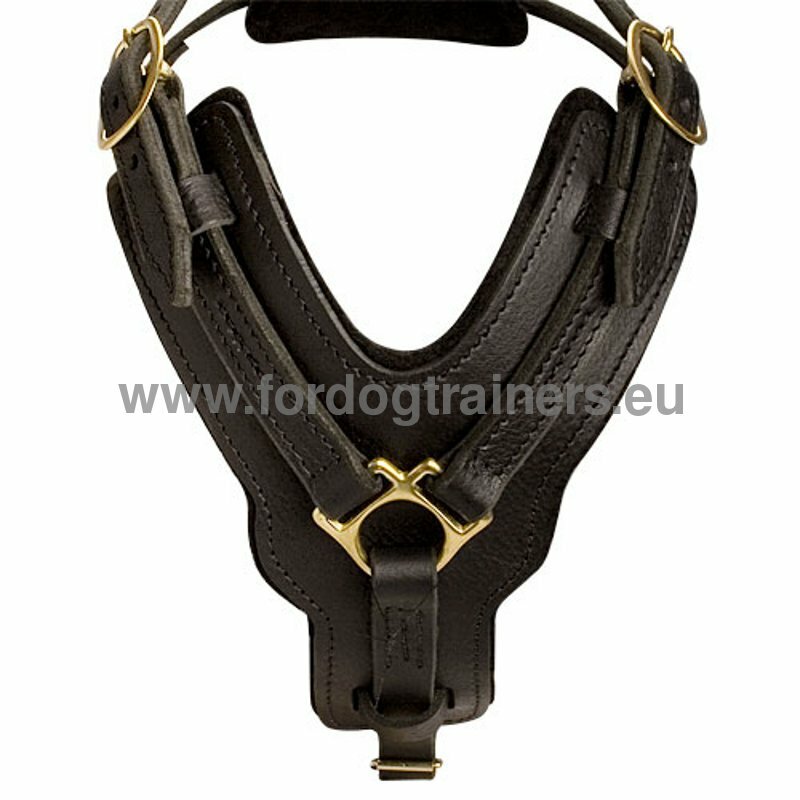 Pay your attention to various hand made harnesses in our store! 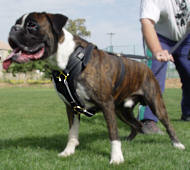 I would rarely use the harness when I walk with the dog (for exemple, vet visits). Mainly, the dog spends his time is in my finca (Spanish house with the garden), and he serves as shepherd and guard dog for the house and yard (there he wears nothing). The most important thing in training for me is walking on a leash. This is also going well. However, as a puppy, he walked in a harness. 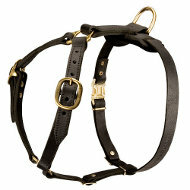 The harness that is commercially available does not really fit anymore. So, I found your company on the Internet providing products for extra-large dogs. Thank you so much for the cool service. Hello the leather harness arrived! This product looks mega noble and is greatly made, I'll send you a photo the other day. Dear Julia, I inform you that we received a harness and a leash. Our joys have no limits, they are beautiful, quality, processing, everything. Thank you. Hello! I inform you that on August 19, 2017 a parcel with a muzzle and a harness was delivered to my house. They are fine, excellent quality leather and very practical. We can say that money is spent knowingly, a good price-quality ratio. I will recommend everyone who needs these products. I send my greetings to all the staff of Fordogtrainers.